Storyland Grand Re-Open Friday September 4th! Storyland will have its grand reopening on Friday September 4th! The doors will open from 9 a.m until 5:00p.m. 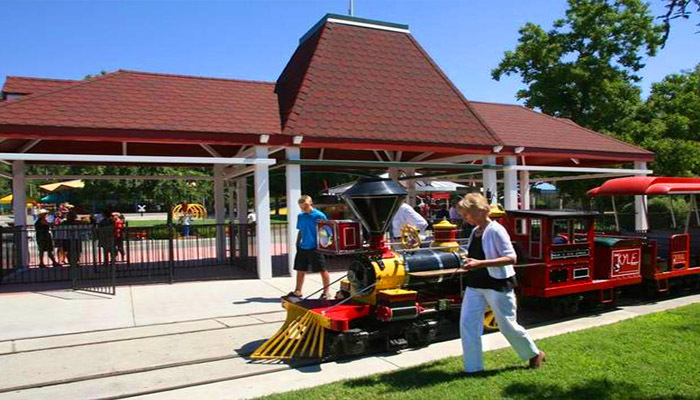 Children will be able to enjoy new attractions, story time at the theatre, the train, and even a tea party! Then at 6:00 p.m Storyland will open its doors for an after party for adults only. There will be maraichi, food trucks, drinks, and much more. Come out and support such an amazing event! Storyland Grand Re-Open R from kmphkfre on Vimeo. As my diamond year starts July 6, my heart is thinking about a local park that needs our help to shine — it’s also the 60th birthday of Storyland and Playland. Turning 60 brings a wealth of memories! 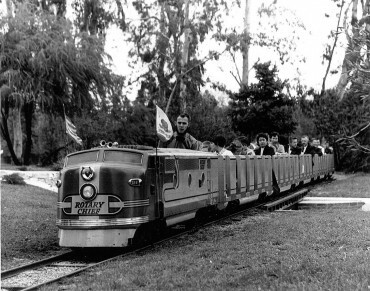 When I moved to Fresno just before my 30thbirthday with three small children, my family spent many wonderful days at Storyland, introducing our children to theater, reciting nursery rhymes at each exhibit with our magic keys and riding the train inRoeding Park. 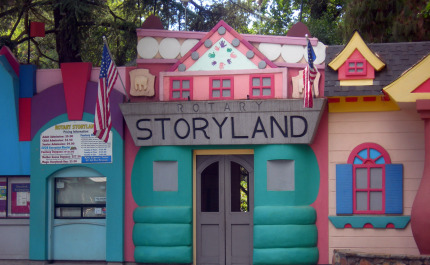 Years passed without a visit, then six years ago, we returned to Storyland with our grandchildren. Our granddaughters danced ballet on stage, recited nursery rhymes, pretended to be princesses in the castle — and asked to go back every week. When it closed, I couldn’t believe we could lose another Fresno treasure. What do I want for my 60th birthday? More Storyland! Today I challenge all those who turn 60 in our diamond year to donate at least $60 to savestoryland.com and tell your family and friends this is how you want to be celebrated. You don’t have to be 60 — all birthdays will work. To donate, go to savestoryland.com and click on the donations tab. Your gift will be doubled by a generous donor! What a great way to start a new decade! 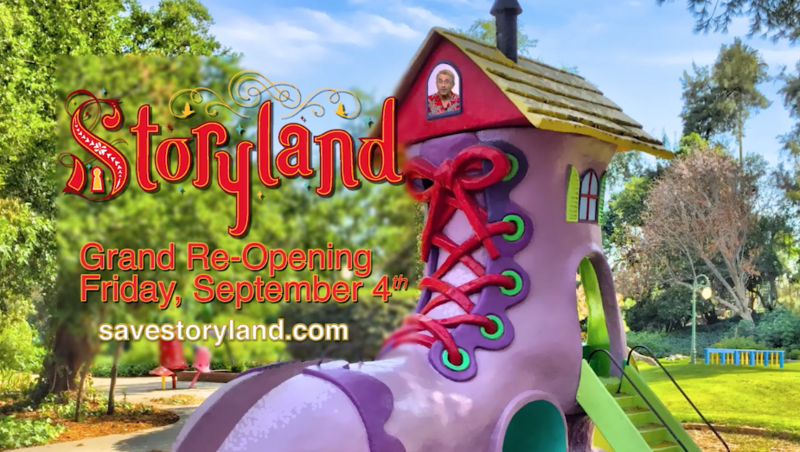 Storyland’s Grand Reopening Is Set For September 4! Fundraising for Storyland/Playland has eclipsed $350,000 and officials with the new nonprofit overseeing the parks confirmed this week that they plan to open Storyland on Sept. 4. The opening of Storyland also will include restarting the train that operates between the two parks. Playland will not open until next year, and additional work will need to be finished even after Storyland opens, said Bruce Batti, vice chairman of the Storyland/Playland nonprofit. But, he said, the committee is pleased by the fundraising efforts thus far. 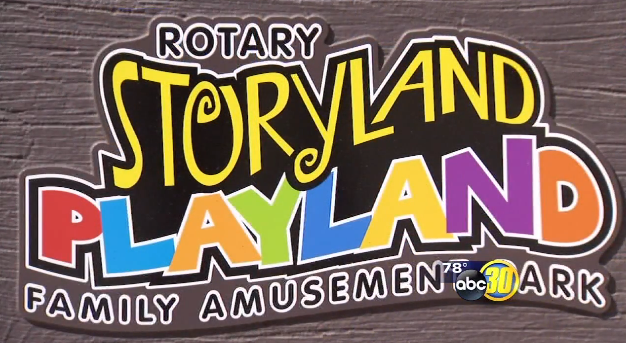 Playland, which opened in 1955, didn’t open this past spring for the first time in 60 years. Storyland, which opened in 1961, also didn’t reopen in the spring. The effort to open the parks was buoyed by the Dan Martin Family Foundation, which is matching the first $200,000 donated by the community. So far, Batti said, they’ve collected $162,000 from the community, and are confident they’ll get the rest needed to claim the full match. He said Martin is a longtime Rotary member who would like the parks to remain open for future generations. The goal to open both Roeding Park attractions will require raising $850,000 by January, and Batti said others have indicated offering a match similar to the Martin Foundation’s. “By no means are we out of the woods, but we do know that this is more than feasible,” he said. Once the parks are open, he said, the nonprofit’s financial plans can ensure they will stay open for years to come. The train and railroad track are being rebuilt by Hillcrest Tree Farm & Railroad in Reedley. Cement work in Storyland is being done by Ransom Concrete of Fresno. Both are offering their services below cost or between jobs, Batti said. 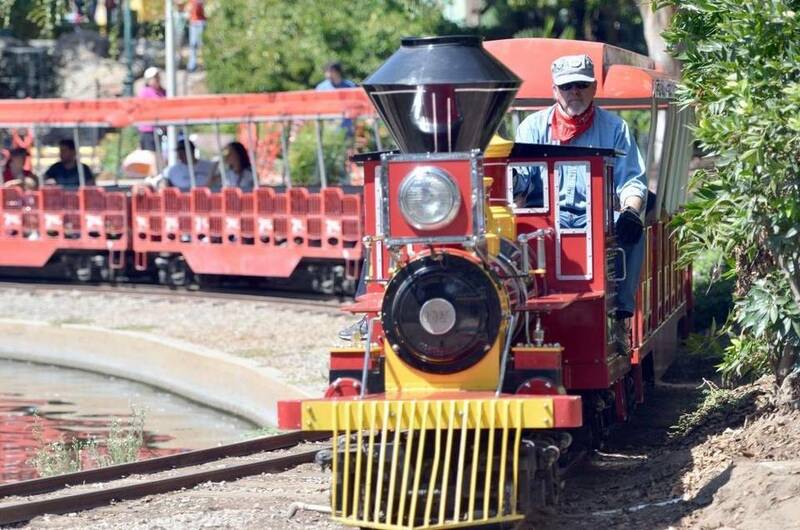 Having the train ready for September’s Storyland opening will give the parks their largest revenue-generating attraction. The next most-highly used attractions are the carousel and roller coaster in Playland, Batti said. When Playland reopens, it will have one new attraction and 10 rides for park visitors, he said. There has been no shortage of volunteer groups from around Fresno County providing sweat equity so the parks can reopen, he said. BY NO MEANS ARE WE OUT OF THE WOODS, BUT WE DO KNOW THAT THIS IS MORE THAN FEASIBLE. Inside Storyland, much of the cement work in the park addressing American with Disabilities Act guidelines will be finished when it opens. 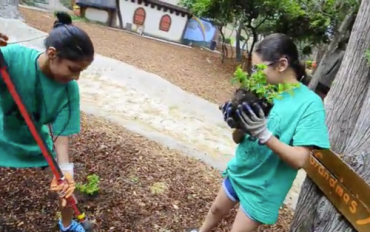 Volunteers are planting new greenery, laying down bark, painting and cleaning up. “I’m very confident we will open on time,” said Scott Miller, committee chairman. The next phase will begin with the cleanup of Playland, he said, which a volunteer group started this week. 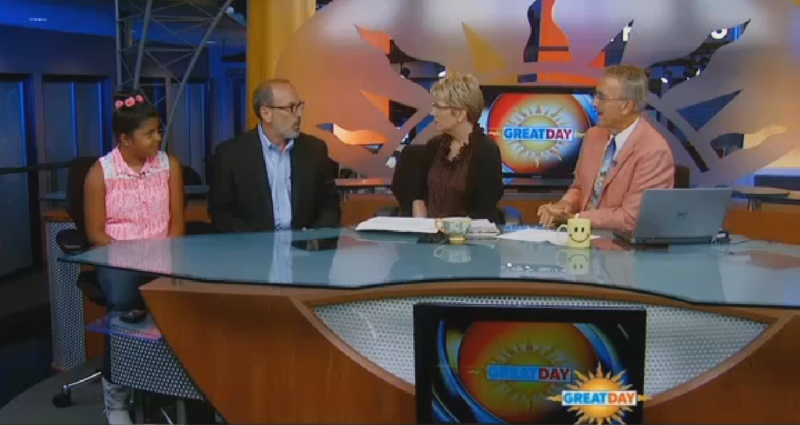 In March the Fresno Chaffee Zoo Corporation board agreed to help Storyland and Playland. Under the agreement, the zoo corporation oversees a new board to run the parks, initiate fundraising and even use zoo employees on a donated or reimbursement basis to get the parks operating again. The parks’ attendance dropped significantly in recent years after peaking at 152,000 in 2011. Efforts to keep prices low for visitors even as attendance and concession sales fell led to the recent financial problems, officials said. 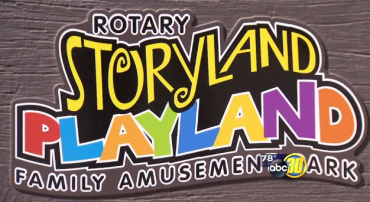 Storyland Playland Makes Progress To Reopen! 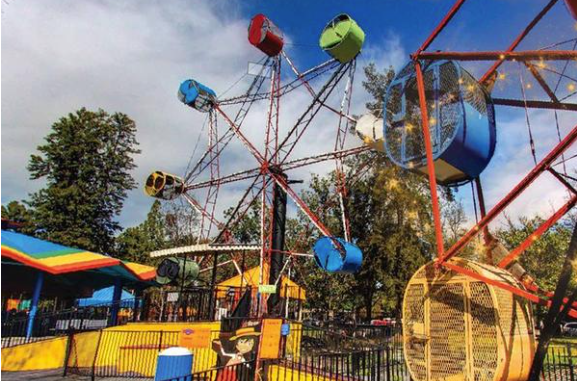 The already struggling Storyland-Playland amusement park in Fresno is facing a major setback. Thieves broke into a storage center Friday and got away with nearly 15-thousand dollars in equipment. “They had picked through it for the biggest brass and copper pieces,” said Scott Miller. He is the Storyland-Playland board president. He said the thieves climbed onto the roof, removed plywood and crawled through this tiny space. An opening that measures roughly three feet long and barely one foot wide. After ripping off the alarm system they scrambled to take as much as they could through the small opening. “But most of what was taken we assume is for its recyclable value. Like parts for the train which unless you have a train you have no use for at all,” said Miller. And many of the parts 30 to 40-years-old. Costly to replace but have little to no street value. “It’s a setback we had not planned for and we’re not happy about,” said Miller. On Monday Ameriguard Security Services installed motion detectors for the struggling park. Miller hopes it’ll deter any more criminals and get the team back on track to revamping one of the city’s oldest landmarks. This Friday 200 volunteers are coming out to help pick weeds and get this place back up and running. 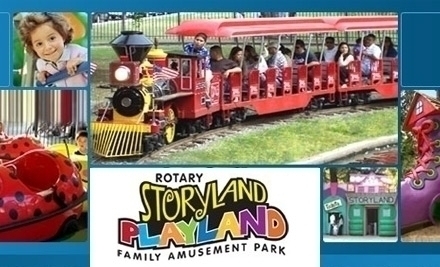 Storyland park is accepting donations and you can find more information through http://savestoryland.com. Storyland has been in jeopardy of shutting its doors forever for some time now. It’s a place near and dear to many families in the Valley, and there has been an ongoing effort to save the park. Friday morning the park received a donation from an unlikely group. It all started with a canceled trip to storyland. Eleven transitional kindergarten students from Thomas Elementary were sadden to learn that their trip was not only canceled but would likely never happen. the young kids decided to take action visiting every classroom at their school asking for donations to save the park. One of the students, five year old, Jacquelyn Garcia says she simply asked and students gave generously. The children’s campaign kept growing. They made a sign they hung in front of the school promoting their efforts. Little Jacquelyn took it upon herself to take her fundraising outside of school. “My mom, and my sister, and then they gave me some and I said thank you”, she says of the people she asked for donations from. Before the kids knew it, Thomas Elementary had collected a total of 15-hundred dollars. Just a few days ago a local church youth group also made a donation, bringing their total to 18-hundred dollars. After the check was presented, the children were able to explore the park they never thought they would be able to visit. Jacqueline says she wants other kids to be able to do the same one day. In order for Storyland to reopen 850-thousand dollars in repairs need to be made. An anonymous donor has given the park 200-thousand dollars under the condition the community matches his donation. Fresno’s Storyland and Playland amusement parks could re-open by mid-September. The head of the new Storyland-Playland board thinks the parks can return to profitability. Work is already underway to repair and re-open the parks after they failed to open. 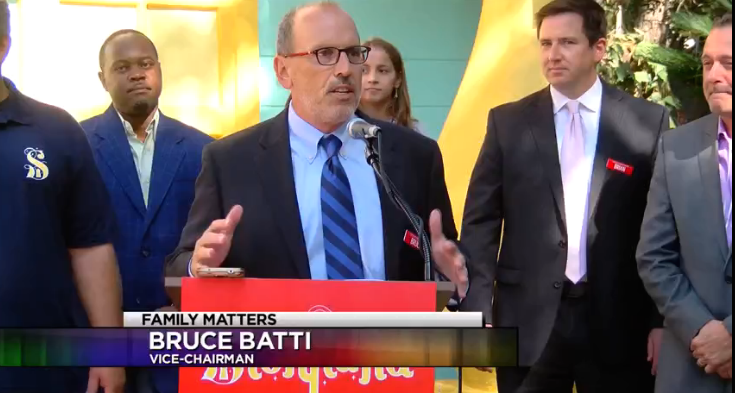 Scott Miller, the chair of the new board overseeing Storyland and Playland says necessary repairs…especially to the train…should be far enough along to allow the parks to re-open by the middle of September. “It’s absolutely achievable. The work required to get Storyland open is largely cosmetic. Playland has some bigger issues, but it is well underway already,” Miller said. Miller says the goal is to open the parks shortly before Fresno’s Chaffee Zoo opens its new Africa exhibit. He also says there is still much more work to be done to completely repair the parks but that several big partnerships are in the works to help restore them to financial stability. Earlier this year the parks got a $200,000 challenge gift. So far, they’ve raised about a quarter of that amount. Miller says they need $850,000 to fully restore both facilities. Storyland has been a Fresno tradition since 1962 but after 53 years the park needs work and money before it can reopen. There are cracks in the sidewalks and the creeks that run through the park. Many exhibits, walkways and even bathrooms don’t comply with the Americans with Disabilities Act. That’s why the Storyland/Playland board decided not to reopen until improvements are made. Board member Bruce Batti says it all comes down to money. “We have $200,000 from an anonymous donor right now so we are looking for $200,000 from the community to match that so we’ll be a little under half way to the mark.” Batti says it will take $850,000 to get a long list of things like the iconic castle back in shape. Batti says the train that stretches from both parks is a money generator. Right now it is getting an overhaul. Storyland needs money. If the community responds the park could reopen by Labor Day. 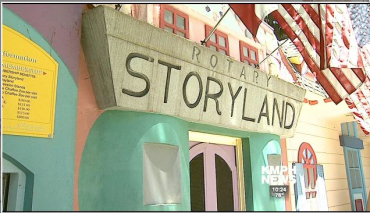 Fundraiser efforts to save Storyland and Playland are in high gear! Please join us for a magical evening of “Make Believe” at the Toca Madera Winery. There will be live music by The Appletones (courtesy of Ray Appleton). Mark your calendar for June 19th from 6p.m. to 10 p.m. There will be live music, live auction and of course wine tasting. Tickets are $100 and available online at http://savestoryland.com/shop/make-believe-event-ticket/ The Storyland & Playland board says, sponsorships are also available. For more information call 559.349.3778.